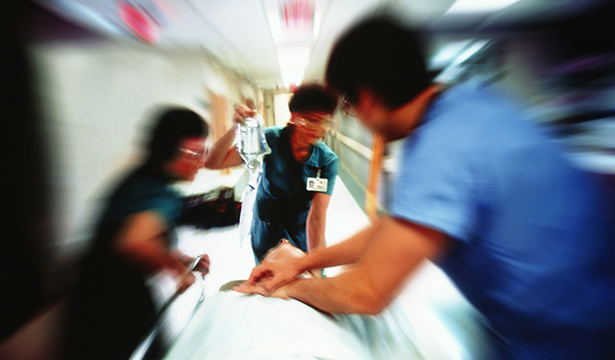 Researchers examine nursing participants' performance in cardiopulmonary resuscitation. Researchers use qualitative method to examine nursing participants' performance in cardiopulmonary resuscitation. Cardiopulmonary resuscitation (CPR) is a procedure that emergency nurses are usually skilled in, but makes them anxious and leaves them in need of post-event support, according to this study from South Korea. The researchers placed an advertisement to recruit ED nurses and then employed a qualitative method to examine participants’ experiences of performing CPR. Each of the 17 nurses who took part in the study was interviewed for between 40 and 90 minutes. A content-analysis method was used to analyse data. From the interviews, four themes emerged: pressure caused by the urgency of the procedure; becoming ‘sharp tempered’ with colleagues during CPR; psychological conflicts during and after CPR; and growing as an ED nurses as a result of administering CPR. Interviewees expressed anxiety about CPR regardless of their ability to perform it, and the researchers say that the psychological conflicts that arise in the aftermath of a CPR incident are not systemically well supported. They conclude that ED nurses would benefit from education and training to promote their competencies in administering CPR and the establishment of support systems to alleviate any psychological distress.